ChiChickie! Secret Sale! 3 Days only! "ChiChickie! 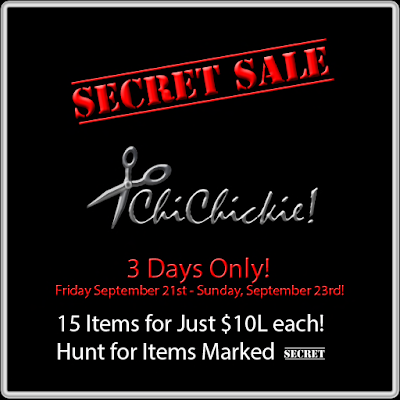 Secret Sale! 3 Days only! Friday, Saturday and Sunday, September 21 - 23! 15 random 4-color packs of 15 random hair styles in the store are marked down from $200L to $10 L through Sunday 9/23! What's the secret?? They're marked with a tiny little "SECRET" sign - you have to SEARCH for them! 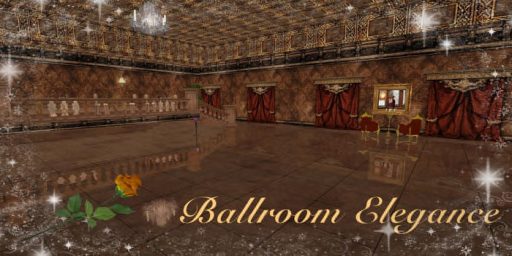 If you're a Petite Avatar, check over in Little Chickies! Any ChiChickie! style that is on sale and has a corresponding Little Chickie! style is marked down in both stores!"